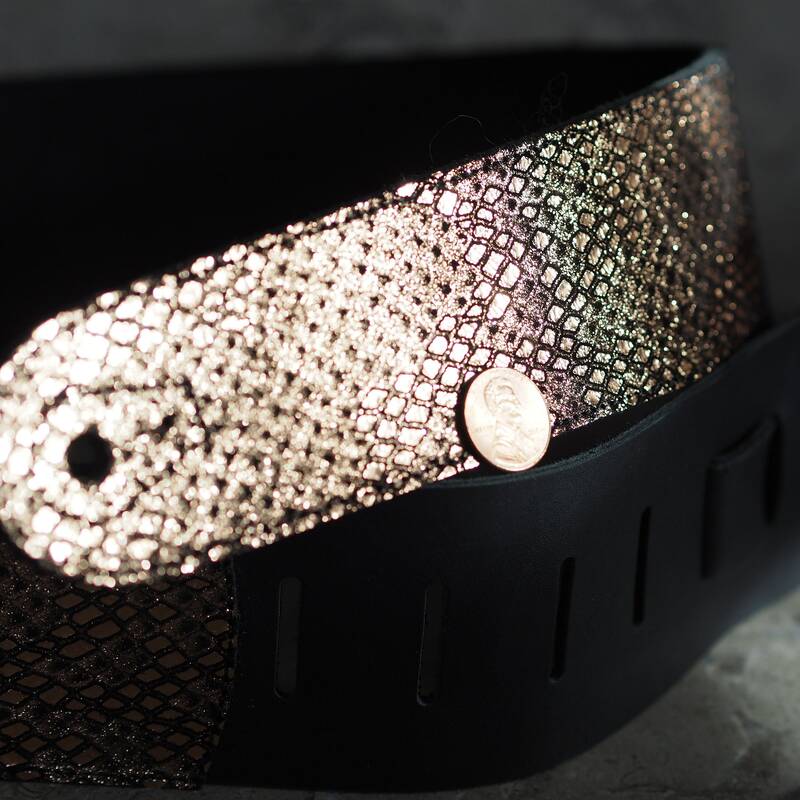 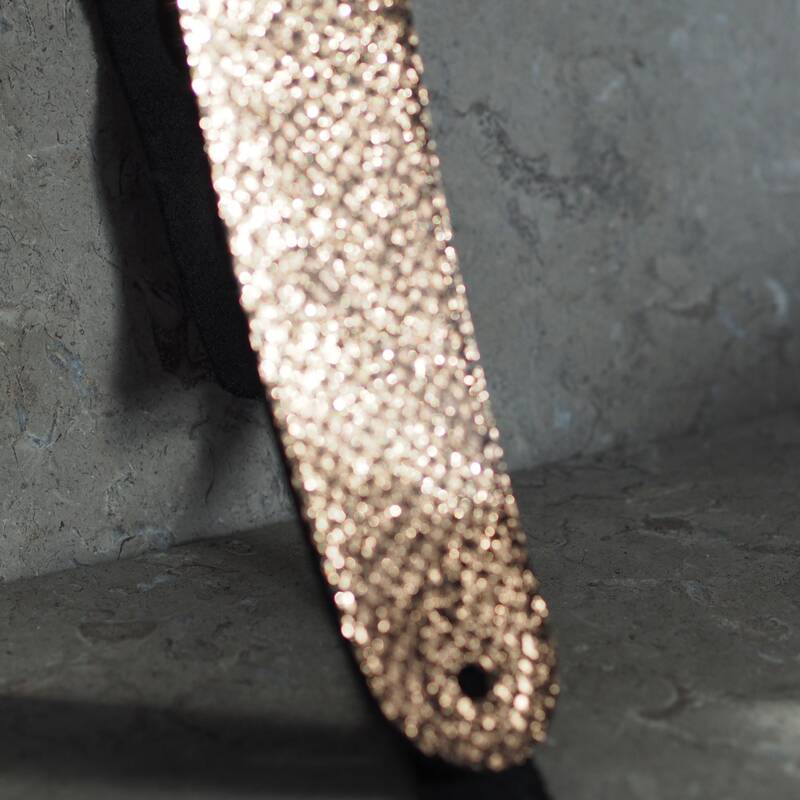 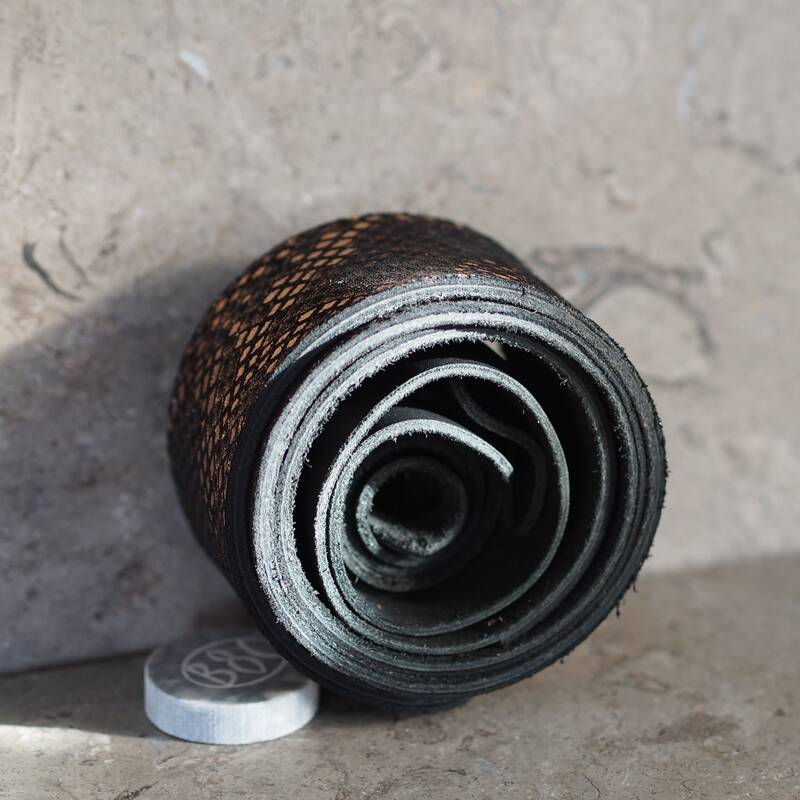 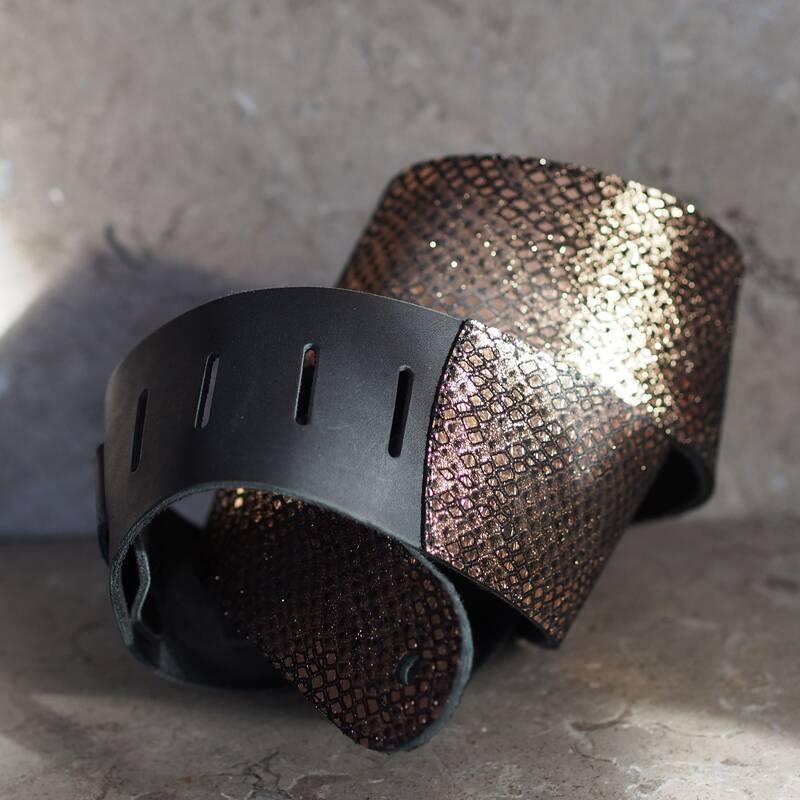 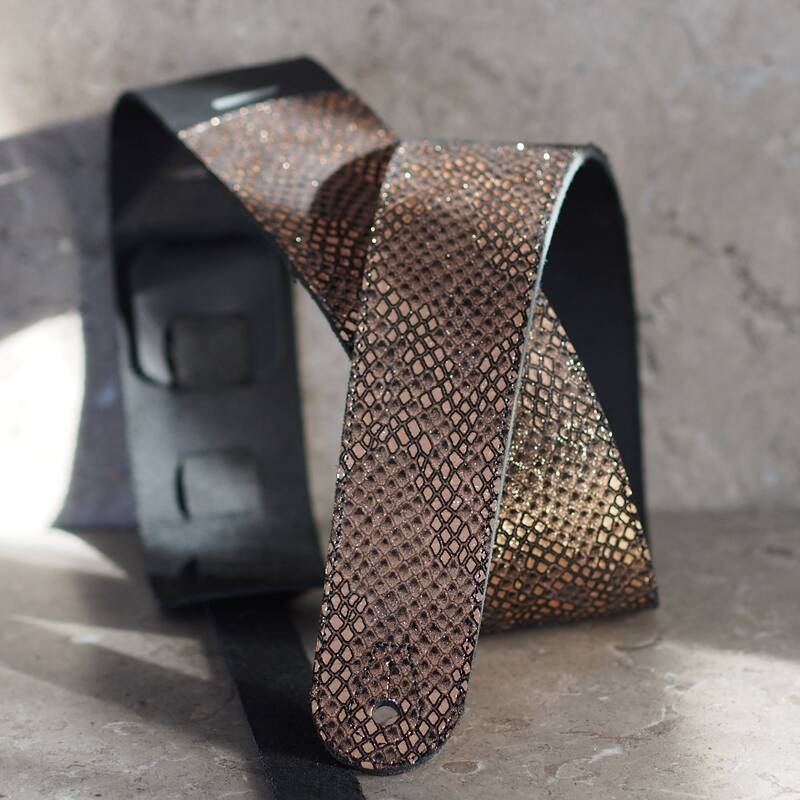 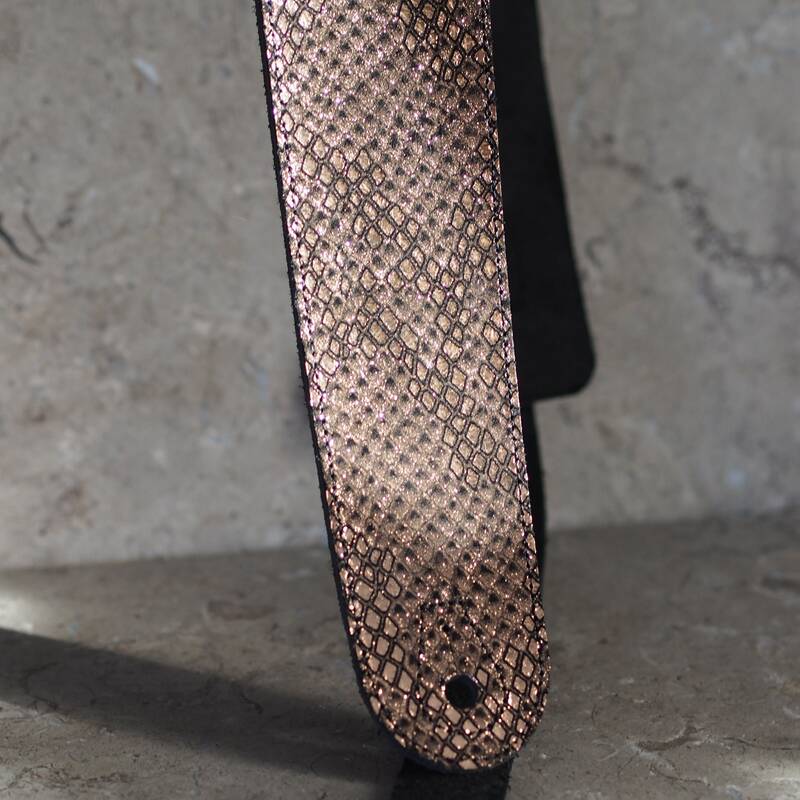 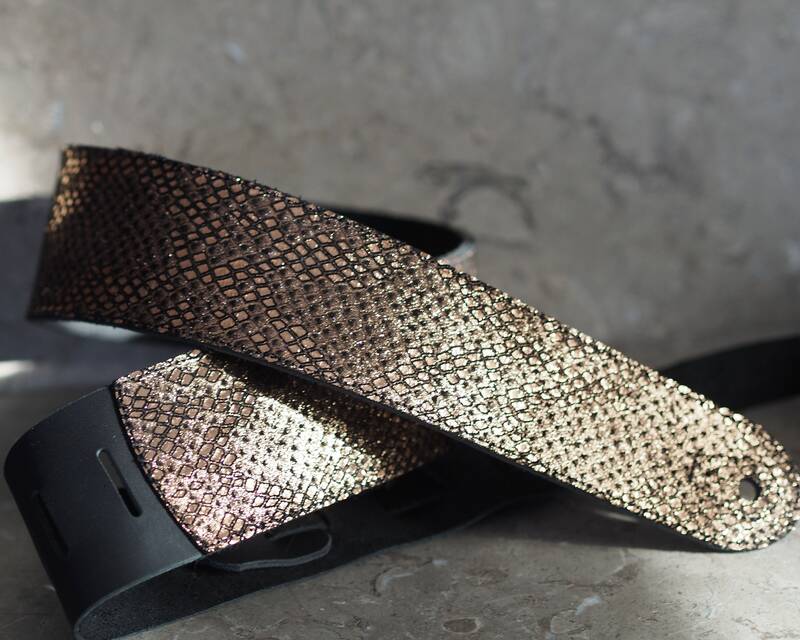 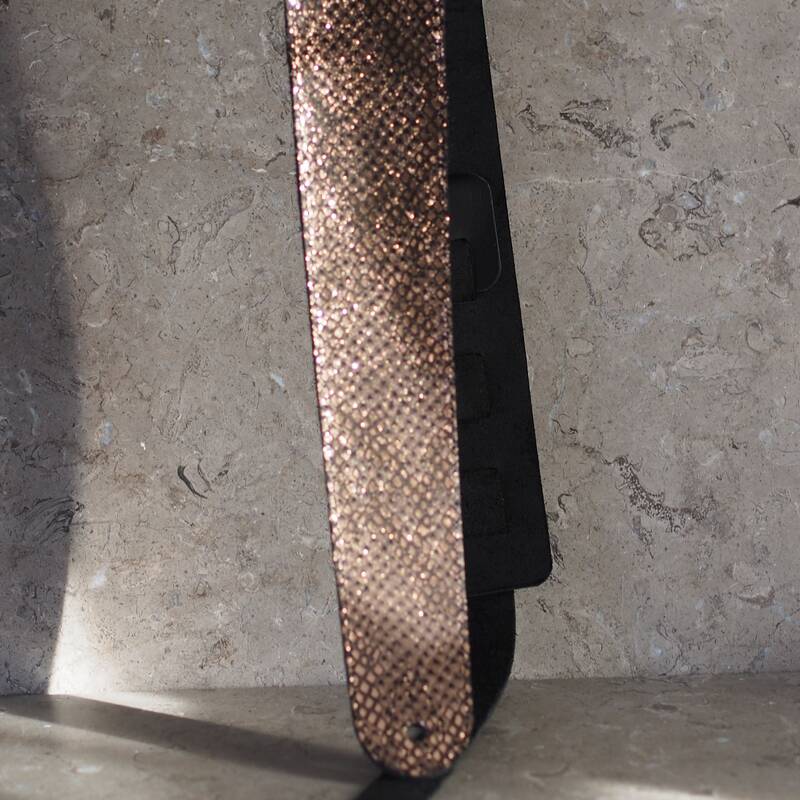 This all leather guitar strap is made with a rose gold foil print scale pattern on black cowhide layered over a smooth black cowhide. 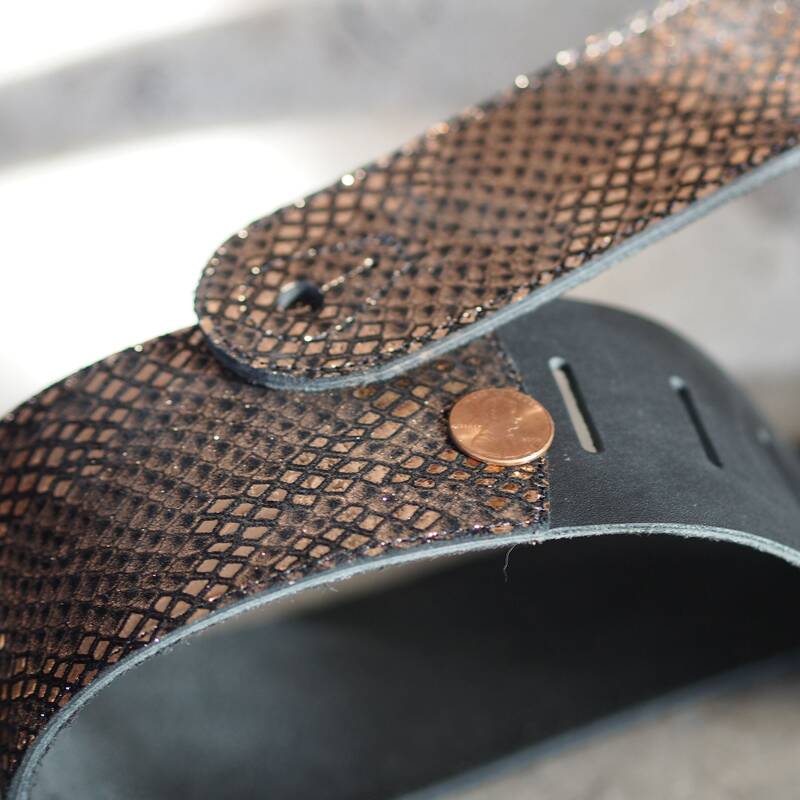 The pattern has solid foil scales mixed with those made of tiny dots, so the foil catches the light and eye, yet is not glistens, rather than reflects light back (the photos with multiple angles and folds of the strap demonstrate how the color & iridescence varies with the angle to the light--and focus--and a US penny to compare color & sheen in different light angles). 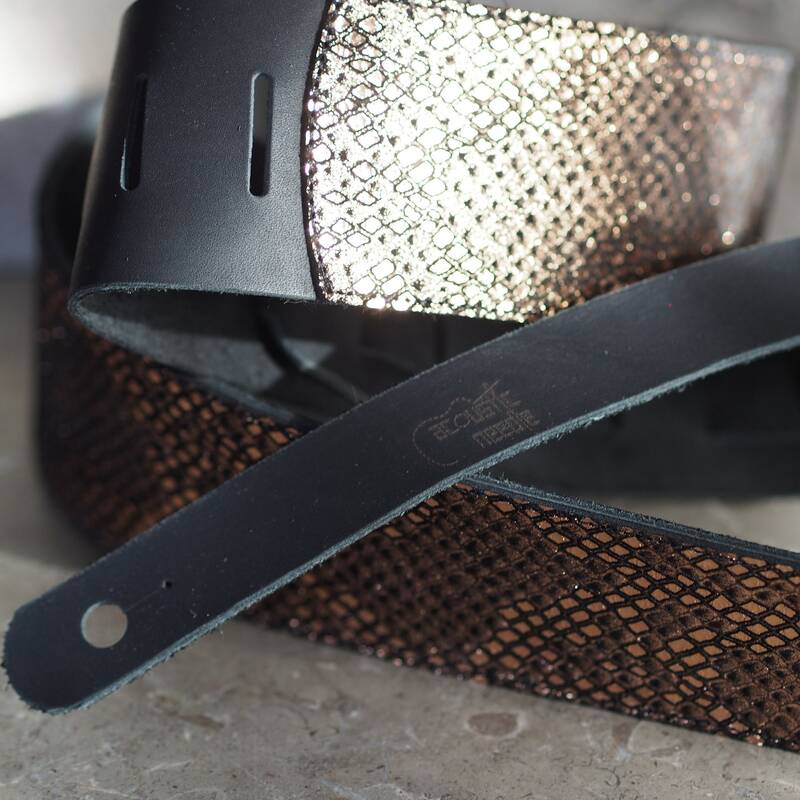 This strap has my Acoustic Needle logo laser etched on the adjustment strap.